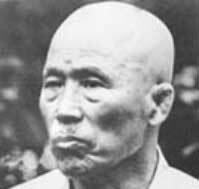 1919 :Sensei Kim est né à Honolulu (Hawaï) le 17 novembre 1917. 1925 :Il commence par étudier la boxe et le judo. Il passe beaucoup d'heures à s’entraîner dans les clubs locaux de boxe, et est formé en judo par Kaneko-sensei. 1927 :O’sensei rencontre Yabu Kentsu (le sergent) au dojo Nuuanu YMCA où il étudie les principes du karaté pendant une année. Yabu Kentsu est un élève haut gradé d'Itosu Yasutsune. Il est diplômé du Kashi-Yoseisho (école d'officiers) et il est un adepte du travail des bases. Yabu est l'un des premiers maîtres à enseigner le karaté dans le système scolaire d'Okinawa. En 1927, il s'installe à Hawaï où il enseigne dans le dojo local YMCA pendant environ une année, avant de retourner à sa patrie d’origine. Certains des élèves émérites de Yabu sont Kanken Toyama, Chosin Chibana et Shinpan Gusukuma. 1928 : Après la formation par Yabu, Sensei Kim poursuit sa formation auprès de Mutsu élève d’Arakaki Ankichi. Aragaki est issu d’une riche famille de Shuri. Il commence à s’entraîner sous les tutelles de Chomo Hanashiro et Shinpan Gusukuma. Durant son adolescence il abandonne ses études pour s’entraîner avec Chosin Chibana. Un des fait les plus célèbres de l’histoire d'Aragaki, est sa victoire à 19 ans à un tournoi de sumo après avoir vaincu un lutteur géant du village de Yomitan. Aragaki meurt d'une tumeur, au jeune âge de 28 ans. Un de ses meilleurs élèves est Shoshin Nagamine fondateur de la branche matsubayashi du Shorin-Ryu. 1935 : Sensei Kim obtient son diplôme de fin d’étude au lycée, et intégre l'université d'Hawaï. A cette période il étudie le karaté à Honolulu avec Chibana. A l'université il consolide son expérience de la boxe en s’entraînant à la salle de gymnastique de Sato sur la rue de Maunakea à Honolulu. A cette occasion il est sparring de plusieurs grands champions. 1937 : En 1937 Sensei voyage à Changhaï, en chine et s'inscrit à l'université St Johns et puis à l'université de Towa d’où il obtient un doctorat de chaque école. En Chine il étudie le Taï chi à l'académie d'arts martiaux de Changhaï sous la tutelle de Chen Chin Wuan. En même temps il étudie le Pa Kua et le Shorinjiryu Kempo à l'institut de culture physique de Stemberra de Chao Hsu Lie. Le plus grand instructeur de Sensei Kim en Chine est Wang Xian Zhai qui lui enseigne un style appelé le Yi Quan. Wang Xiangzhai (1886-1963), également connu sous le nom de Nibao, Zhenghe ou Yuseng (moine de l’univers) est l'un des meilleurs élèves de Guo Yunshen (Kuo Yun Shen), maître célèbre de xingyiquan (hsing-i ch'uan). Pendant son enfance Wang Xiangzhai est chétif et a une mauvaise santé. C'est pourquoi ses parents l'obligent à faire des activités physiques. Puisque les familles de Wang et de Guo se connaissent, le père de Wang Xiangzhai demande à Guo Yunshen, qui vit à cette époque dans un village voisin, d’enseigner son kung-fu à son fils. Guo refuse prétextant qu'il est trop vieux pour accepter de nouveaux élèves. Cependant un ami commun aux deux familles réussit à convaincre Guo, et huit ans plus tard Wang commence l'étude xingyiquan. One story says that once, when Guo got cold, and despite of this went out without putting his jacket on, after some time little Wang, who was worried about his master's health, took jacket and went out to look after Guo. At last found him in some quiet place, doing very strange exercises, quite different from those, which he usually taught. Astounded Wang silently watched master, who stood without motion in a position which Wang saw for the first time. At some moment Guo heard rustle and turned around - he saw that it was his little pupil who brought him his jacket. Since that time Guo treated the boy quite differently than other students, teaching him stuff which was not passed to others. Only Wang Xiangzhai learned all the secrets of Guo Yunshen's zhan zhuang exercises, which exercises became later the most characteristic element of Yi Quan. 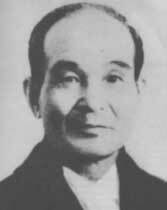 1937 : It was while in China that he first met Kenichi Sawai. In 1940 in Tokyo a big festival of martial arts took place in which Chinese teams also participated. Some Chinese masters collaborating with Japanese went . The chief of the team tried to persuade Wang Xiangzhai, whom he regarded as greatest master, to participate. Wang refused. But because during the festival, the Chinese talked a lot about Wang Xiangzhai, soon many Japanese started coming to Beijing to visit Wang. Many of them challenged Wang, and all were defeated. Many of them wanted become Wang's students, but only one was accepted. It was Kenichi Sawai, who later created his version of Yi Quan, known in Japan as tai ki-ken (Sawai was one of most famous masters of martial arts in Japan, he was consultant of Masutatsu Oyama, founder of kyokushin karate). 1939 : Sensei Kim finally traveled to Japan and continued his studies under Yabu Kentsu who had moved back to Japan. At this point he also continued training under Kenichi Sawai. 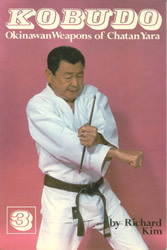 It was about this time he began learning kobudo from Toyama Kanken, and joined the Japanese Busen. Toyama studied martial arts for a while under Kanryo Higaonna but most of his training was under Ankoh Yatsuni Itosu of Shuri. His weapons training was with Chosin Chibana. 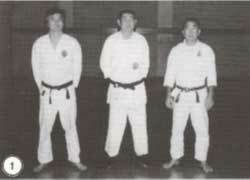 Toyama formed the All Japan Karate Do Association in 1946. 1940 : It was while in Japan Sensei Kim met noted karate historian Kinjo Hiroshi. Kinjo impressed Sensei Kim as being a walking karate encyclopedia. 1941 : Sensei Richard Kim at the age of 22 received the rank of Yondan. 1945 : It was this year that Sensei Kim met and began training under Yoshida Kotaro, the man he considers to be his main instructor. 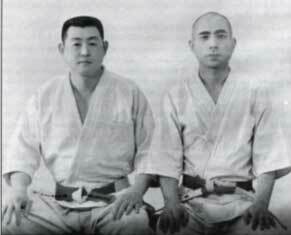 Kotaro instructed Sensei Kim in the art of Daito Ryu and kobudo from 1945 - 1952. It was from Yoshida Kotaro that he received the 'Menkyo Kaiden', (certificate of full proficiency given by a Master to a chosen student best suited to carry on the style) and the scroll depicting the history of Daito Ryu. 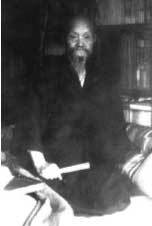 Yoshida Kotaro is by some considered to be Ueshiba Morihei's sensei. Sensei Kim considers Kotaro to be one of the greatest masters of all time. 1948 : It was around this time Sensei Kim met Gogen Yamaguchi and Mas Oyama in Yokohama. 1951 : From 1951 - 1957 Sensei Kim instructed Karate, Judo and Kobudo in Yokohama. 1957 : Sensei established the Kenshu Kan Karate School with James Miyagi in Hawaii. 1966 : Santa Cruz branch joined the Zen Bei Butokukai under Sensei Kim. 1967 : Sensei Kim is voted "Sensei of the Year" by Black Belt Magazine. 1970 : Started writing a monthly column for "Karate Illustrated" magazine from 1970 - 1980. 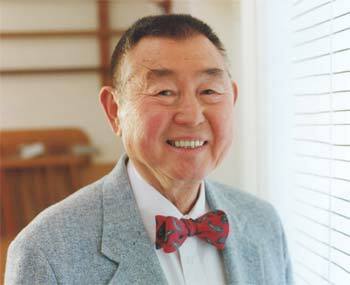 1972 : Sensei Kim became director and head instructor of the AAKF/ITKF Black Belt summer camp held at UCSD. 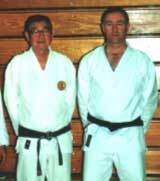 1972 : Denis Farbatiuk and Don Warrener visit Sensei Kim in San Francisco and become members of his organization. 1973 : Sensei Kim is voted into the Black Belt Hall Of Fame as the "Man of the Year". 1973 : Sensei Kim and Brian Ricci came to Canada for the first time. This is the first of many visits. 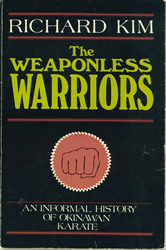 1974 : The book, "Weaponless Warrior" is published. 1975 : This is the year Sensei Kim was named "Who's Who in the Martial Arts". Also from now until 1981 Sensei Kim became the editor of the Japanese and Okinawan entries for "The Illustrated Encyclopedia of the Martial Arts". 1976 : Sensei Kim established the International Butokukai with chapters in France, Germany, Canada and USA. 1978 : Aoinagi-ha Karate under Raymond Castilonia joined the Zen Bei Butokukai. 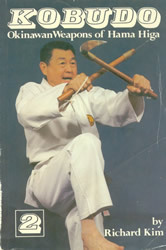 Sensei Kim founded the organization "Way of Mankind". He became the director of the U.S. Team for the I.A.K.F. world championships, and received the honorific title of "Hanshi". 1979 : Denis Farbatiuk brings Sensei Kim up to Canada for the first ever "Guelph Summer Camp". These camps have continued from that point on with Mrs. Eileen Dennis in charge of them. Mrs. Dennis is head of the 'Eastern Canadian Butokukai'. 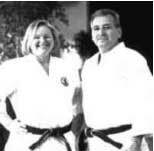 1980 : The Shima Karate School under Rick Marshall became members of the Butokukai. Rick Marshall is named head of the 'Western Canadian Butokukai'. 1980 : The Butokukai branch in Quebec is founded. 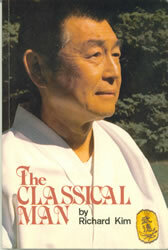 1982 : Sensei Kim's second book "The Classical Man" is published. 1983 : Rick Marshall brings Sensei Kim up to Victoria B.C. for the first of many summer camps at the University of Victoria. 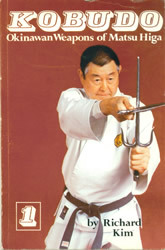 Between the years of 1983-1986 the books "Kobudo 1,2 & 3" are published. 1987 : Tyndall's Karate School is established and became a branch of the Zen Bei Butokukai. 1993 : Busen of Canada is founded. 1996 : Sensei Kim oversees the first ever "National Butokukai Karate Championships" is held in Vancouver B.C. 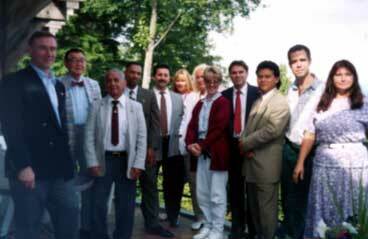 with competitors from Canada and the States1998 : The second "National Butokukai Karate Championships is adjudicated by Sensei Kim, held in Niagara Falls Ontario. 1999 : Final Victoria summer camp is held. 1999 : O'Sensei Kim is promoted to the rank of Judan. Sensei turns 80 on Nov 17, 1999. 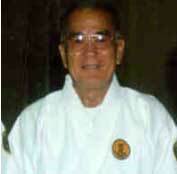 2001 : Sensei Kim passed away on November 8th 2001 in San Diego California. His many students from all over the world will miss him. O' Sensei Kim was truly one of the last great masters in the world. The text of this book represents my own approach to the illustrious history of karate. Like so many of the formal history studies that we have had to plod through at one time or another during our lives, this book is not intended to be an encyclopedic and linear presentation than I, or any other previous karate historian, have at hand. This instead, will be an endeavor which views the course of okinawan karate through its most significant practitioners. These men, sensei and scoundrels alike, were folk heroes of their times and have crossed over into the realm of legend through both the certain degree of continuity, I have elected to present them in a more or less chronological order. In studying the history of karate, one is frustrated every inch of the way by conflicting testimony and a general sparsity of information. In fact, you might even call it a task or Sisyphean proportions, for separating the wheat from the chaff is like rolling a boulder to the top of a hill only to have it roll down again of its own weight. Each of the conflicting statements probably has some validity, an dit therefore becomes impossible to erect a skeletal system that is supported by dates and events as most histories are presented. Instead, our best remaining alternative would be to approach the history of karate through the colorful personalities who have contributed to the development of the art and its traditions. I believe this book is the first to deal exclusively with the lives of the okinawan greats. Through the stories depicting the lives of these okinawan masters, we are better equipped to see how that particular society molded the type of martial art which we study with such fascination today. Philosophy and psychology are very important parts of martial arts training. I can thinks of no one more qualified to disperse this knowledge than Mr. Richard Kim. Through this media, he can relate to you the stories of the old Samurai and it’s meaning unparalleled. It is an education. The Author, Mr. Richard Kim has a vast experience of more than half century. He has a vast experience of more than half a century. He has studied under many renowned masters of old, close to the three decades he spent in the Orient. He is a well-rounded martial artist with an international reputation as a Leader, Technician, world-wide Lecturer, Teacher, and Author. He is considered the greatest living Historian. His uncanny ability to cite dates, people, and incidents involving renowned Samurai of any era is incerdible. His stories are exciting, humorous, interesting, factual, and fascinating, and the moral is infectious. 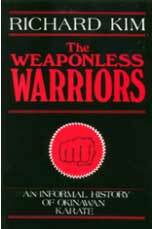 I highly recommend this book to everyone in the martial arts to include it in their martial arts library. It will be a « Collector’s item » in the future.